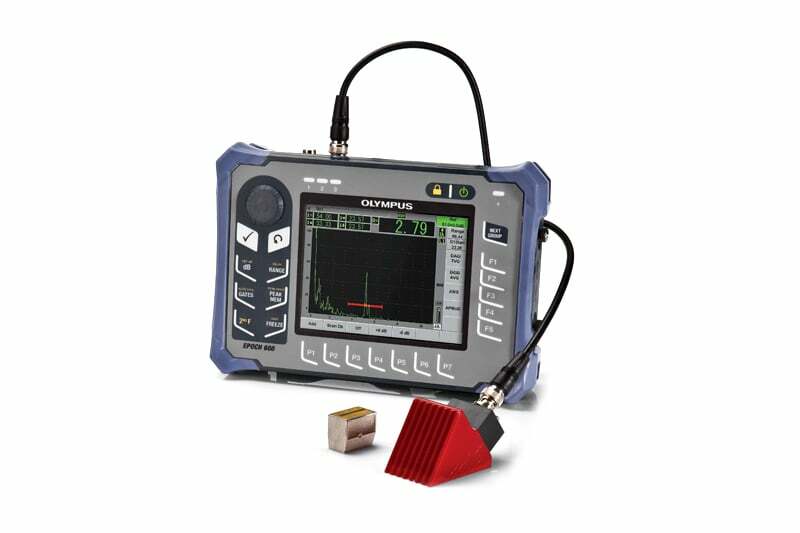 The handheld EPOCH 600 Digital Ultrasonic is a reliable mid-level ultrasonic flaw detector, complete with a full range of standard as well as optional features. 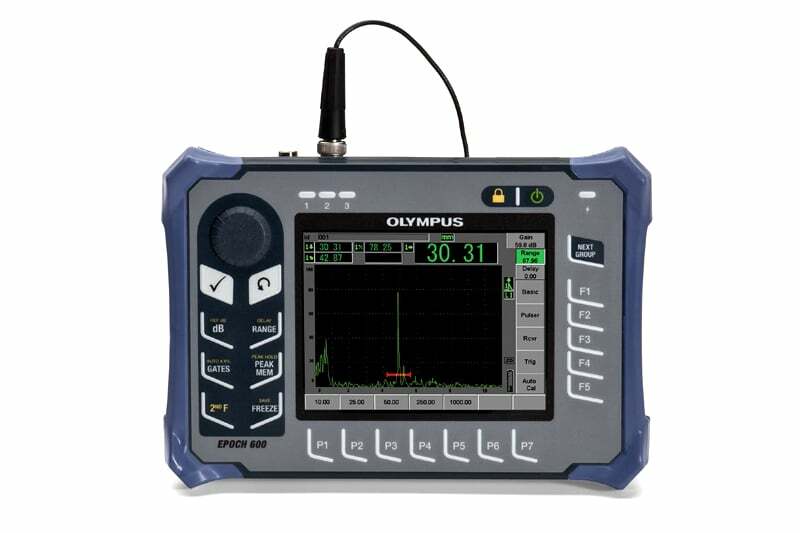 The unit utilises Olympus’ industry leading conventional flaw detection capabilities in a simple and intuitive instrument. With a weight of only 1.68 kg (3.72 lb. ), the EPOCH 600 offers unsurpassed portability while still being rugged enough to withstand harsh operating environments. The ergonomic design allows for hours of comfortable use. The EPOCH 600 is extremely easy to use, featuring straightforward menus and direct access keys. The large VGA display is easy to read in any lighting condition and the unique digital high dynamic range receiver provides a stable connection. To find out more about the Epoch 600 Digital Ultrasonic flaw detector or to organise a free quote, get in contact with us today. 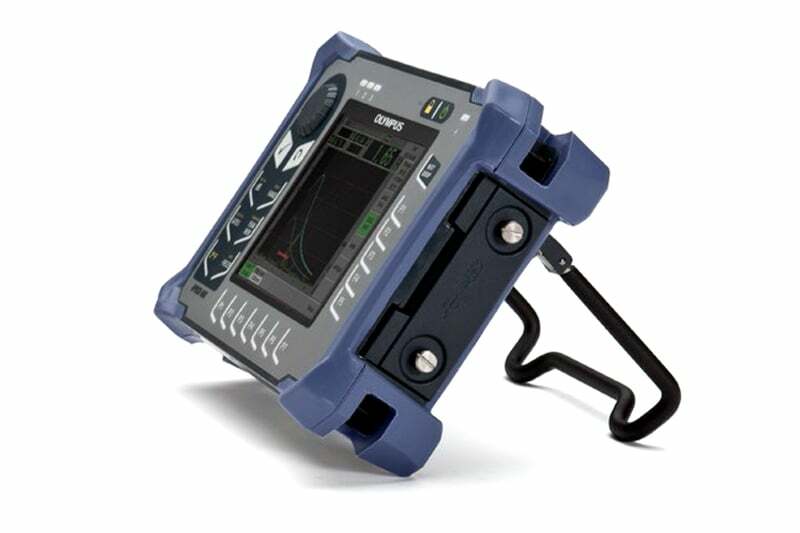 Contact us to find out more about the Epoch 600 Digital Ultrasonic flaw detector or any of our other non destructive testing equipment, or request a quote online.